NASA, in partnership with Google, has discovered two new planets orbiting sun-like stars. One of the new planets, Kepler 90i, is the eighth planet orbiting its star — making that solar system the only one known to have as many planets as our own. Astronomers who study Kepler exoplanet data applied Google's artificial-intelligence algorithms in the search for more planets. Astronomers already knew about the star system, called Kepler-90, and seven of its planets. But by using new artificial intelligence software developed by Google, researchers identified an eighth planet, called Kepler-90i, lurking in old data. Kepler-90i appears to be a hot, rocky orb circling a sun-like star that's 2,545 light-years from Earth. The planet was found using a Google artificial intelligence system, which used machine learning to train itself and sift through data recorded by NASA's Kepler observatory — a spacecraft that has stared down about 150,000 sun-like stars over the years to look for signs of distant planets. Kepler-90i is the third planet from its sun and orbits the star once every 14 days. The temperature on Kepler-90i surface is likely a blistering 1,800 degrees Fahrenheit. In the most recent flyby, as with the previous eight, Juno's flyby started over Jupiter's north pole. The spacecraft then swept within a few thousand miles of the gas giant, capturing stunning high-resolution views of its cloud tops. At its closest approach to Jupiter during each flyby, the robot briefly becomes the fastest human-made object in the solar system, reaching speeds of around 130,000 miles per hour. Then Juno flew back out into deep space, passing over Jupiter's south pole on its exit. Churning storms at the poles constantly change their appearance. Juno pulls off this two-hour flyby, called a perijove, once every 53 days — the length of its extreme orbit around Jupiter. Researchers upload the raw data sent by the probe to the mission's website. There, enthusiasts take the drab, mostly gray image data and process it all into true-to-life color photos. Many snapshots of Jupiter take on an artistic quality. Others dazzle with their detail of the planet's thick cloud bands and powerful storms. Some of the tempests are large enough to swallow planet Earth — or at least a good chunk of it. The planet's atmosphere is a turbulent mess of hydrogen and helium gases. There are also traces of molecules like ammonia, methane, sulfur, and water, which give the clouds different colors and properties. The mixture sometimes creates features that look like faces (as seen on the left in this image). Other times, shining-white clouds fill up most of a band. Many cloud bands have features called chevrons. These atmospheric disturbances blow at several hundreds of miles per hour and sometimes zig-zag through a band, or punch through into others. In this older view of Jupiter, from Juno's eighth perijove, two cloud bands battle for dominance — one of which contains a swirling storm many times larger than a hurricane on Earth. The spacecraft will continue to document Jupiter for as long as NASA can keep it going. But not forever. NASA will eventually destroy the $1 billion robot. That way, it can't accidentally crash into Jupiter's icy moon Europa, contaminate the ocean there, and any alien life it may harbor. Vanderburg was helped by Google AI software engineer Christopher Shallue. He noted how astronomers had already pored over 35,000 strong signals in Kepler data, but had skipped over weaker and less promising signals. Those weak signals were what Google analyzed — and how Kepler-90i was discovered. Vanderburg and Shallue also found a second new planet, called Kepler-80g. The space agency's total of confirmed exoplanets in Kepler's data is now 2,525 — 10 of which may be rocky, Earth-size, and possibly habitable to alien life. To detect two new planets, Vanderburg and Shallue fed their Google system data that astronomers had already analyzed. These were roughly 15,000 "yes, this is a planet" and "no, this is not a planet" classifications. The system trained itself on these classifications, using what's known as a convolutional neural network — software that mimics the way the human brain processes information. Shallue told Business Insider there's not yet catchy a name for the new system system, but said it's very similar to a cats-and-dogs model that Google developed to — with a little bit of human input at the start — train itself to identify the animals in pictures. NASA and Google say its new technology will help astronomers find many more exoplanets in the future. In this case, the new cats-and-dogs system only studied 670 star systems — but Kepler has monitored about 150,000 star systems. In fact, Vanderburg believes the Kepler-90 solar system may have more planets that we have yet to detect. Jessie Dotson, a Kepler project scientist at NASA's Ames Research Center, explained that astronomers will always be needed to classify objects before feeding information into a neural network, so that the AI can learn how to look at new data. 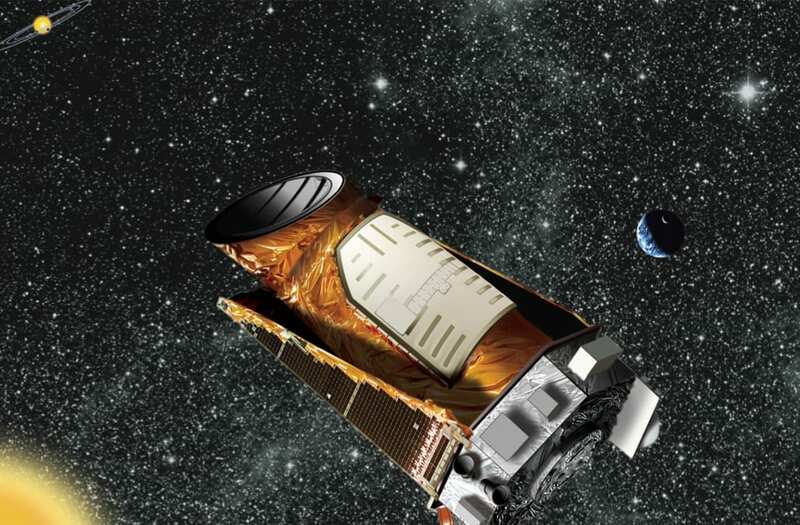 "Data from Kepler that the team used for training took years before enough was figured out to get to the auto-vetting point," Seager told Business Insider. "Also, people may eventually want to look at all data — you can't find what you aren't looking for." Dana Varinsky contributed to this report. Note: This story was published prior to NASA's media teleconference and significantly updated afterward.